Taipei, Feb. 14 (CNA) The Ministry of Foreign Affairs (MOFA) on Wednesday reaffirmed the Republic of China’s sovereignty over the Diaoyutai Islands, following reports that students in Japan will be taught that the disputed island group are an integral part of Japanese territory. 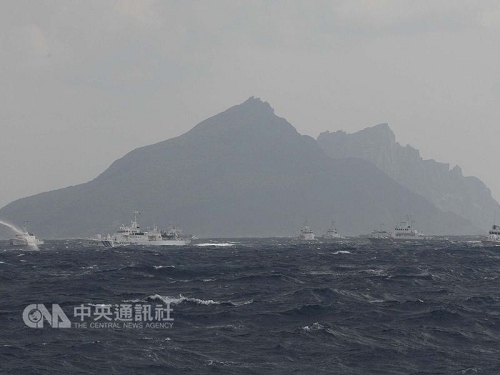 "The Diaoyutai Islands are part of the Republic of China’s territory," MOFA Spokesman Andrew Lee (李憲章) said. "That is the government’s unwavering stance on the issue." He said the Taiwan government is urging that peace and stability in the region be maintained. "We call on all parties concerned to settle the dispute by peaceful means and avoid unilateral actions that will escalate tensions," Lee told CNA. Lee’s statement came after Korea’s Yonhap News Agency reported that the Japanese government has amended its textbook guidelines, asking high school teachers of history and geography to teach that the Senkaku Islands - as they are called in Japan - and Takeshima, or Korea’s Dokdo island, are an integral part of Japanese territory. Korean authorities have expressed regret over Japan’s decision, and have demanded an immediate reversal of the directive, according to Yonhap. China also claims sovereignty over the uninhabited Diaoyutai Islands that lie 170 km northeast of Taiwan, which it calls the Diaoyus.